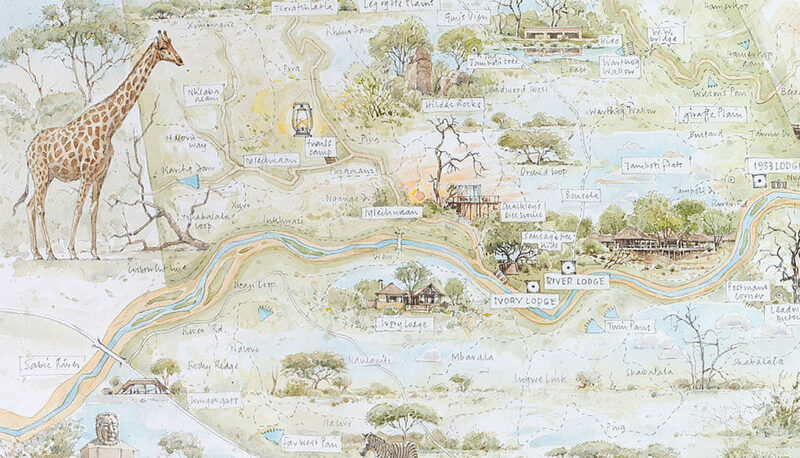 My maps are personalised water colour artworks. 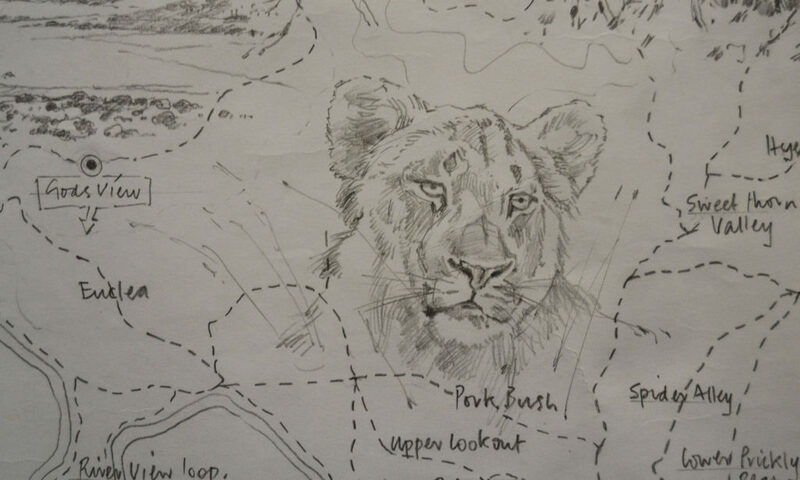 I use 1:50 000 maps to reference totally accurate scale. 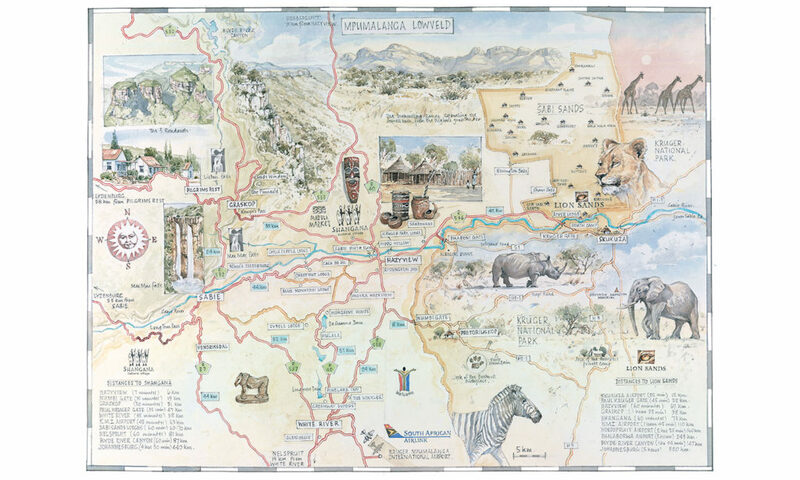 –Recognisable and known landmarks are painted, including rock formations, rivers, mountains/koppies and flora. 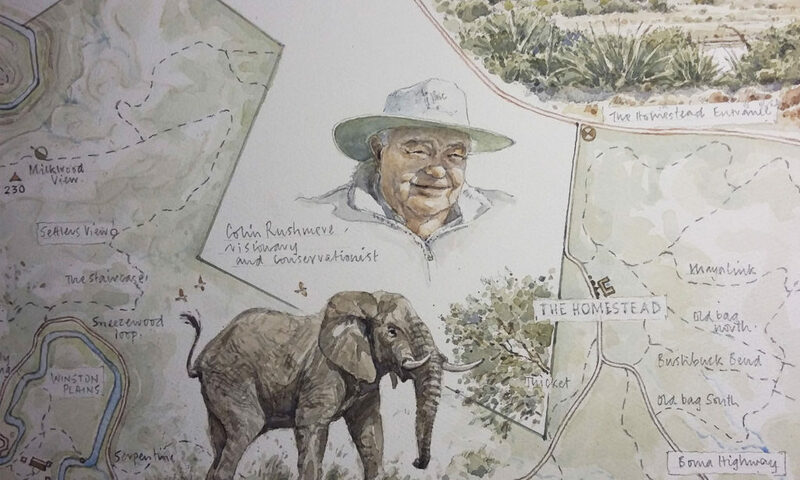 A finished rough drawing is submitted for client approval, after which a final is re-drawn and painted on to 300gram Aquarelle paper. 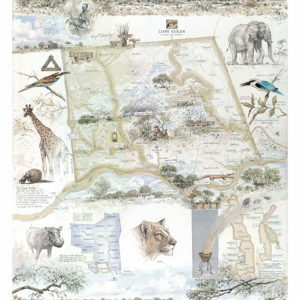 The finished work is approximately 1500mm x 1000mm. 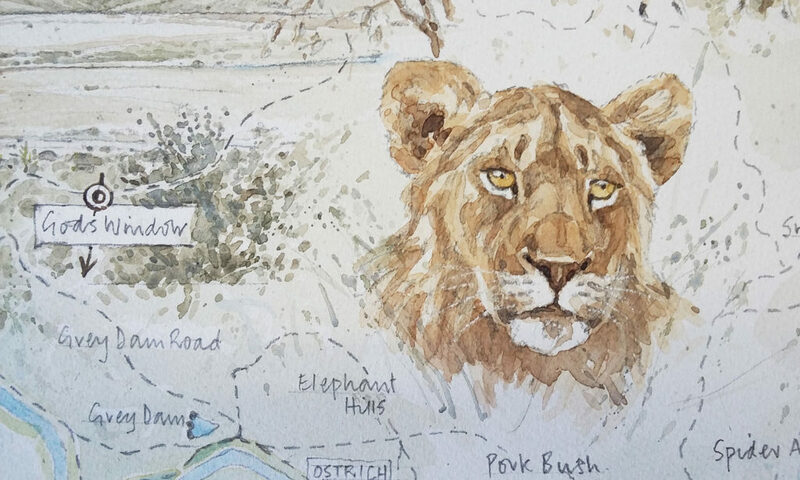 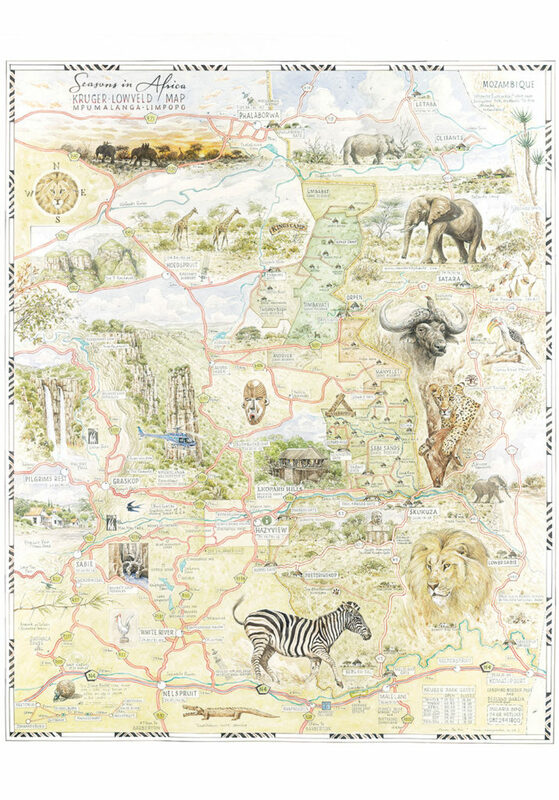 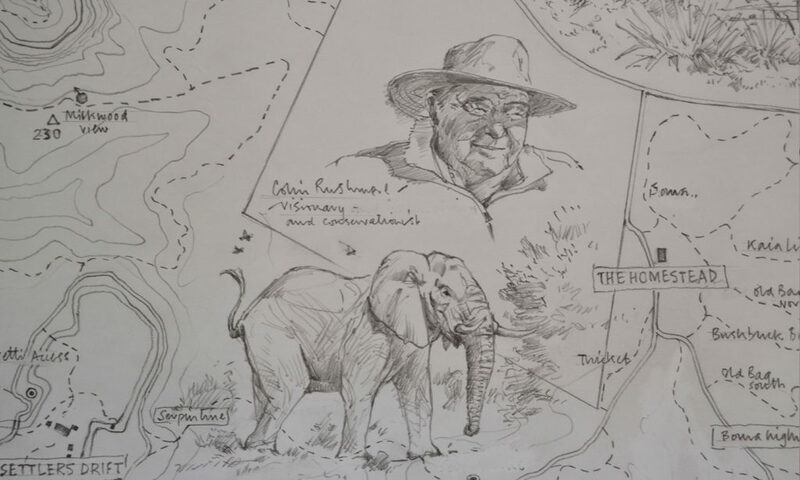 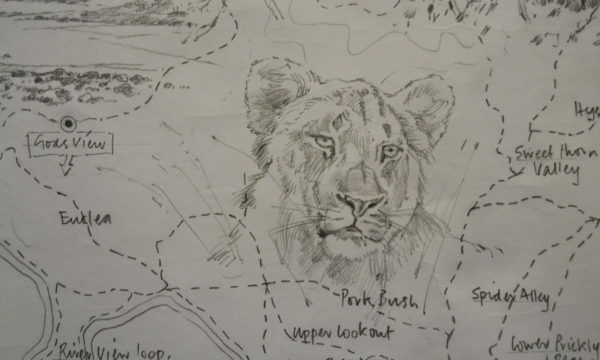 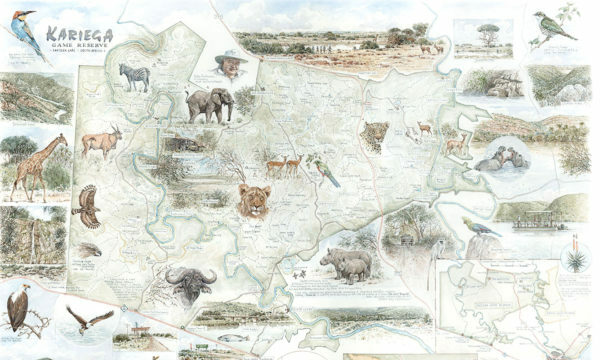 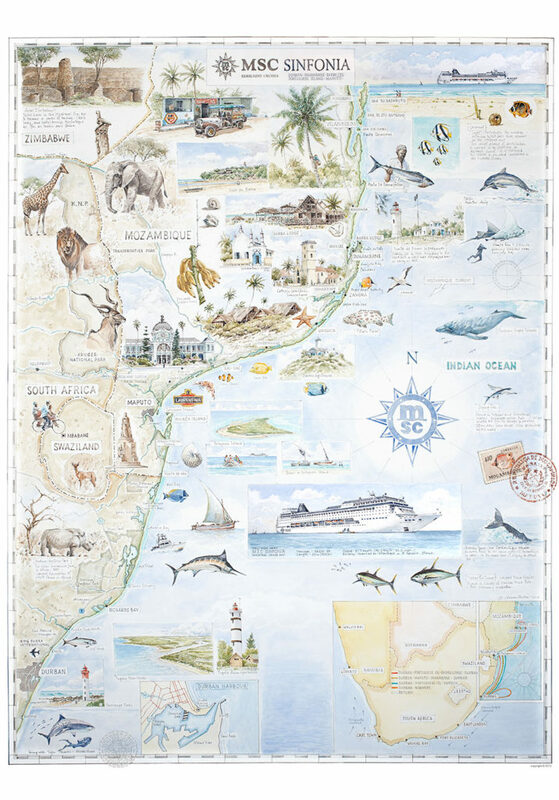 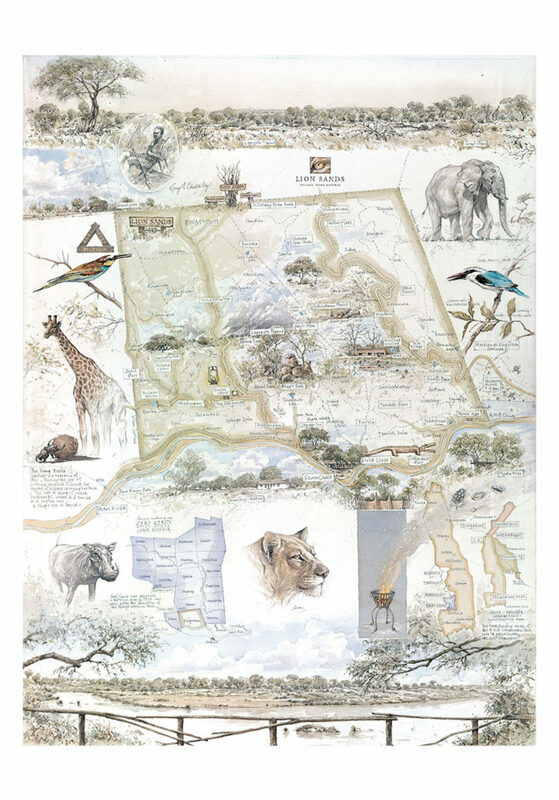 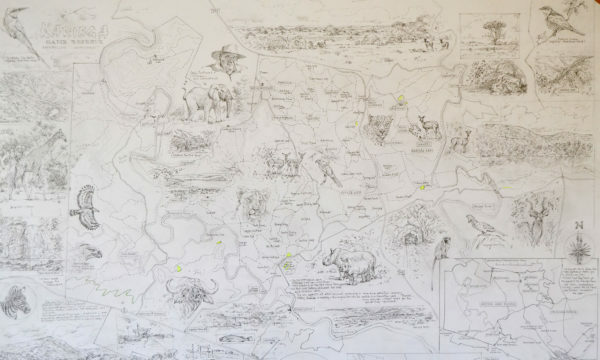 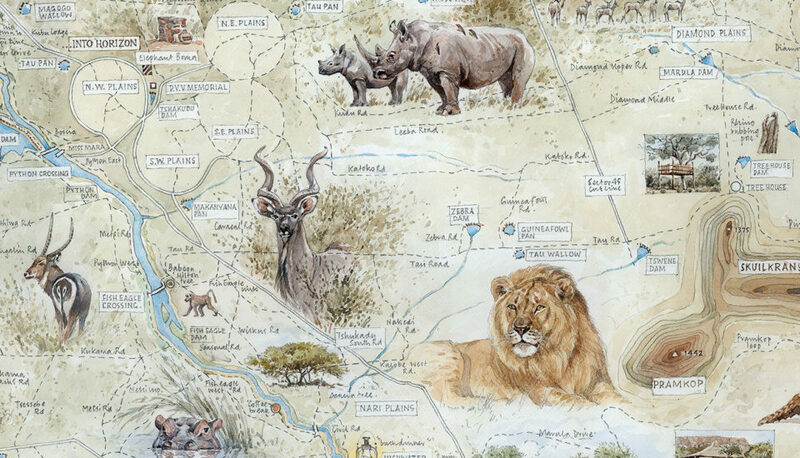 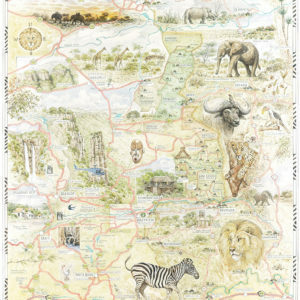 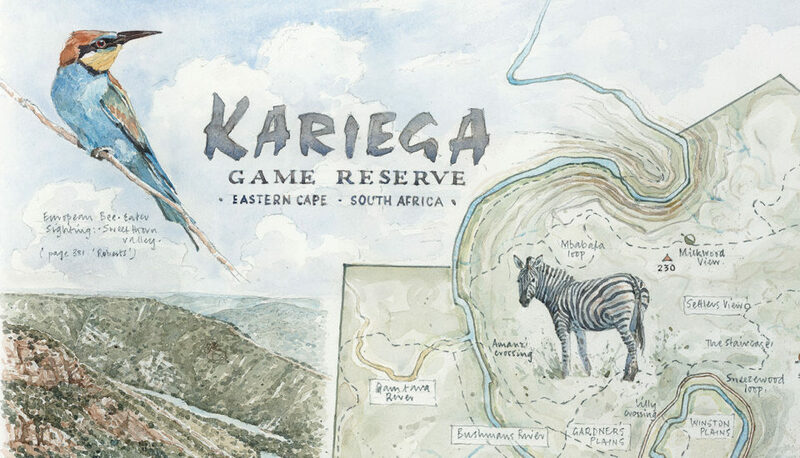 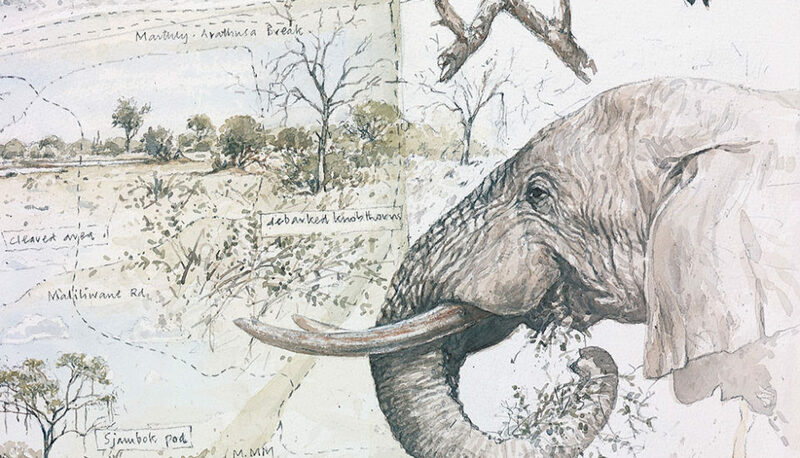 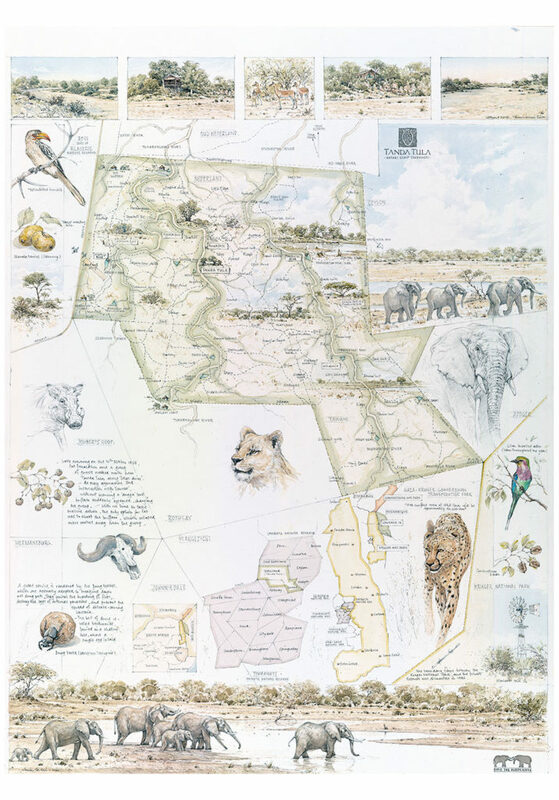 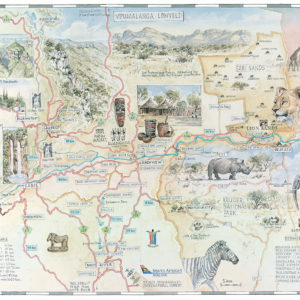 The framed original map is usually hung in the lodge, for guests to study the layout of the reserve and discuss morning and evening game drives. 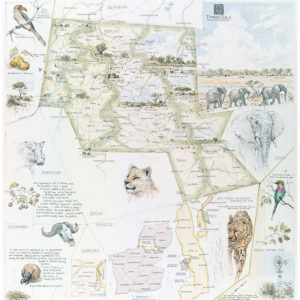 Prints can be made to any size from the original art work and then signed by the artist. 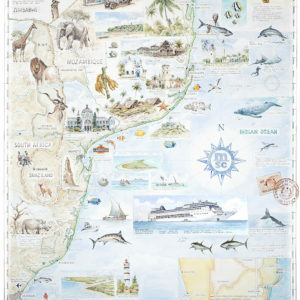 The print works are souvenirs for guests, and also serve as an excellent marketing tool.